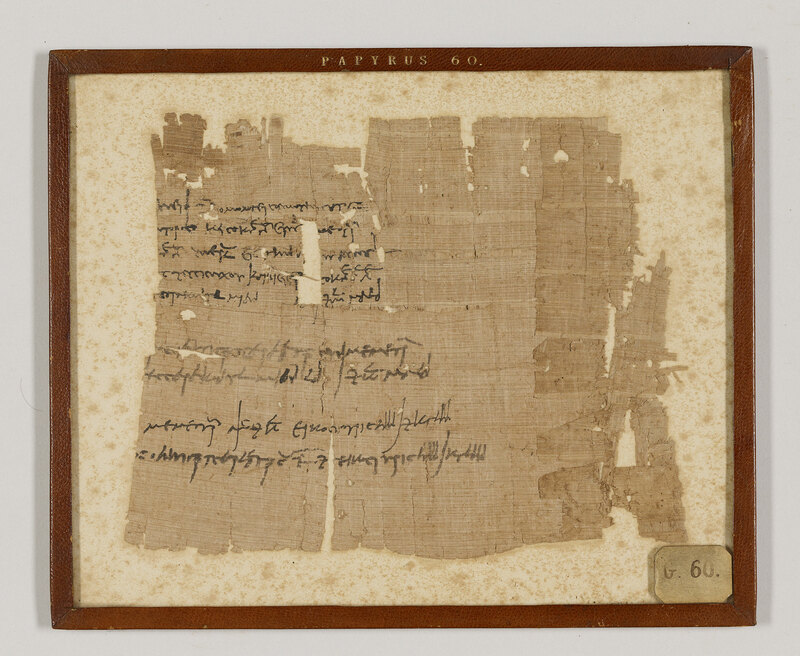 Home > Amherst Greek Papyrus 60. Purchased by J. Pierpont Morgan (1837-1913) in 1912. Lord Amherst Tyssen-Amherst, 1st Baron Amherst of Hackney; purchased by J. Pierpont Morgan (1837-1913) in 1912; J.P. Morgan (1867-1943).